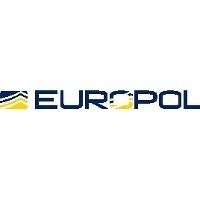 Europol and the European Monitoring Centre for Drugs and Drug Addiction (EMCDDA) have issued early-warning notifications about two synthetic drugs that have recently been linked to serious harms in the EU. The first concerns a new psychoactive substance associated with 18 deaths in the United Kingdom and eight in Hungary in 2013. 4,4′-DMAR — the para-methyl derivative of 4-methylaminorex — is not currently controlled by drug legislation in EU Member States. Also known as ‘4-methyl-euphoria’, ‘4-methyl-U4Euh’, ‘4-M-4-MAR’, ‘4,4-dimethylaminorex’ or ‘Serotoni’, the substance has been found in Denmark, Finland, Hungary, the Netherlands, Sweden and the United Kingdom since it was first detected in 2012. The use of other drugs in combination with 4,4’-DMAR appears to have been a factor in most of the fatalities recorded. A range of adverse effects associated with 4,4’-DMAR have been reported, including agitation, hyperthermia, foaming at the mouth, breathing problems and cardiac arrest. 4,4’-DMAR has been found as a powder and in tablet form, with tablets having a variety of logos, colours and shapes, as detailed in the early-warning notification. Concern over this substance has led to the European Union Early-warning system (EWS) on new psychoactive substances — operated by the EMCDDA and Europol — to launch a joint exercise to better understand the harms posed by this substance. The second warning focuses on ecstasy tablets that have been found with dangerously high levels of MDMA (3,4-methylenedioxymethylamphetamine) in Belgium, the Netherlands, Switzerland and the United Kingdom. The potentially toxic levels of MDMA present in these tablets could lead to serious harm, and there have already been deaths associated with such tablets in the Netherlands and the United Kingdom. MDMA tablets in the EU typically contain between about 60 and 100 mg of MDMA (2012 figures), however, tablets containing between 150 and 200 mg of MDMA are currently available and some have been found to contain even higher amounts, e.g. 240 mg. It is important to note that no illicit tablets can be considered safe as they can contain unexpected ingredients in unpredictable amounts. Drug Markets Report (3), Belgium and the Netherlands remain centres for synthetic drugs production in the EU and are also among those Member States most affected by the recent resurgence in MDMA availability.